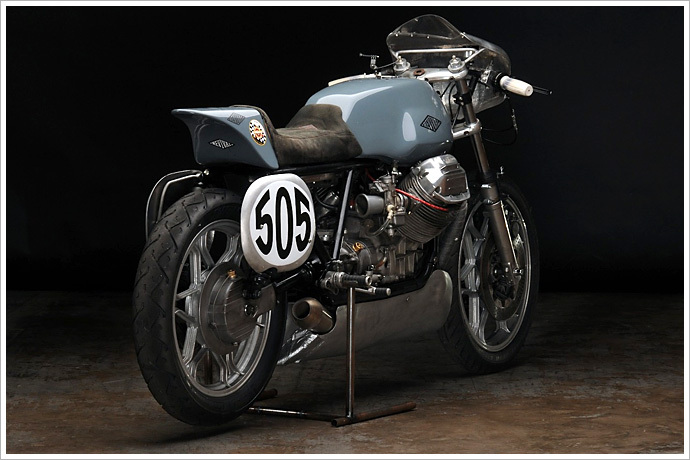 It’s hard to deny that Moto Guzzi hold a rather special place in the pantheon of motorcycles. 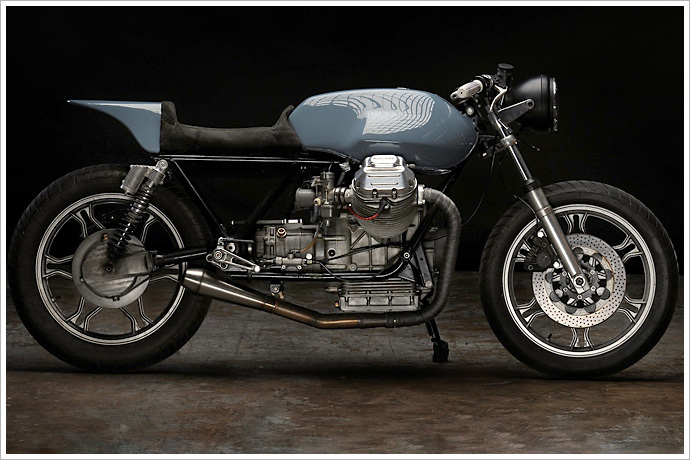 They’re a whole lot cooler and unusual than your average Ducati. They’re definitely more passionate than most BMWs. 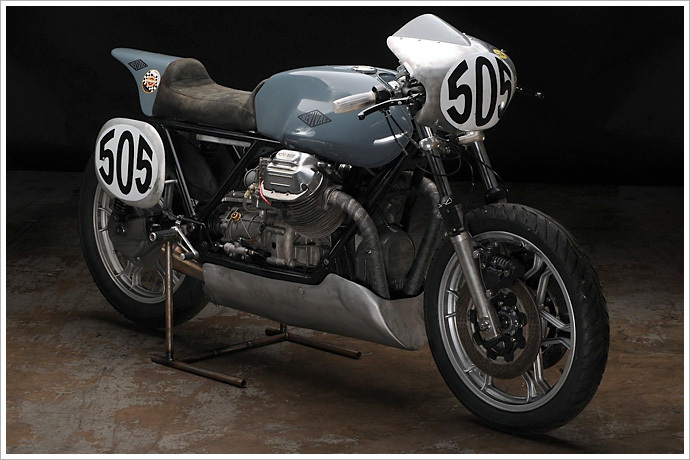 And there’s little doubt that they can out-sport most Triumphs, even if it is by their looks alone. In what you could call a Lamborghini-esque niche, they seem to occupy that perfect world where collectable, beautiful and unusual intersect. 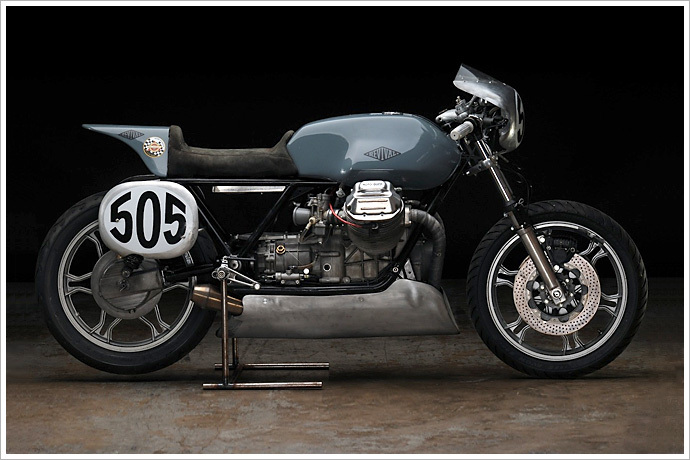 Which makes a custom Guzzi even more of an impressive proposition. And when they’re done as well as the bikes that have been rolling out Austin’s Revival Cycles in recent years, it’s a wonder that the other shops haven’t given up and gone home. 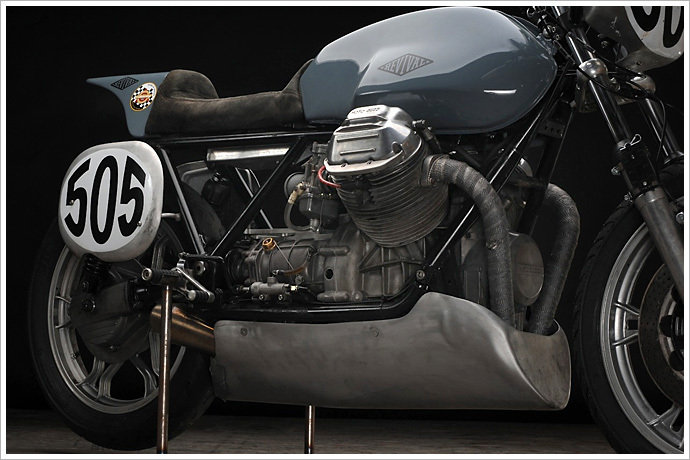 Meet their latest and quite probably their greatest, the ‘78 Le Mans Special. “The vintage Marzocchi rear shocks were a cool find that simply had to go on this bike. They are upside down because they wouldn’t fit with the factory rear brake caliper, but I strangely prefer them this way. They were revalved and work surprisingly well. 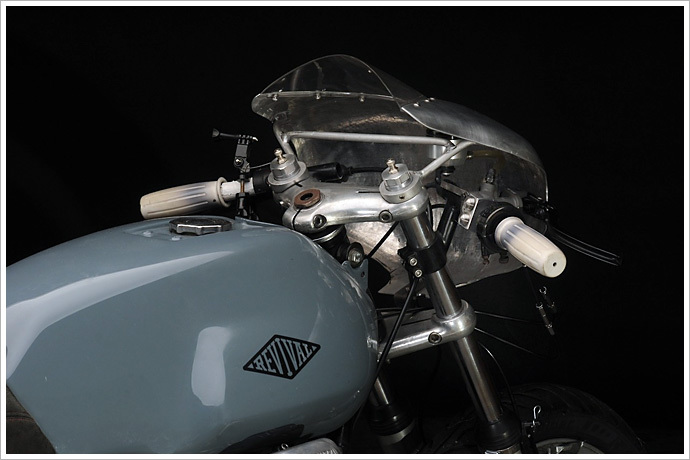 “The bike is an excellent runner and infinitely faster and better handling than my old T3. It’s a veritable rocket by comparison; she’s a total blast to ride. 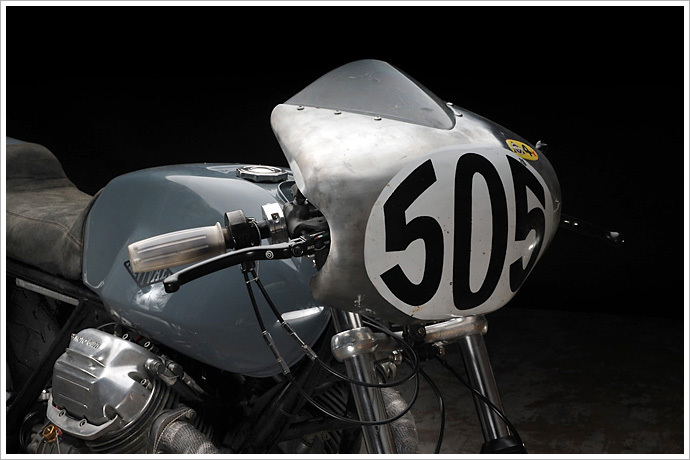 But not being ones who can leave well-enough alone, we decided to race it in the Barber Vintage Festival this year. We started bu building a full set of alloy bodywork, as you can see. We also put in a stronger clutch, a modern Brembo radial master cylinder, stiffer race-tech fork springs, adjustable air cartridges for fork damping, Icon rear shocks and of course Avon track tires.